Hi everyone, my name is Clare Butler from Roscommon. I moved to Cork in September for my Masters in Marketing Practice in Cork Institute of Technology. Throughout my masters I got the chance to work on projects with some great companies. I love what I do and I have a great passion for designing and creating new promotional material. 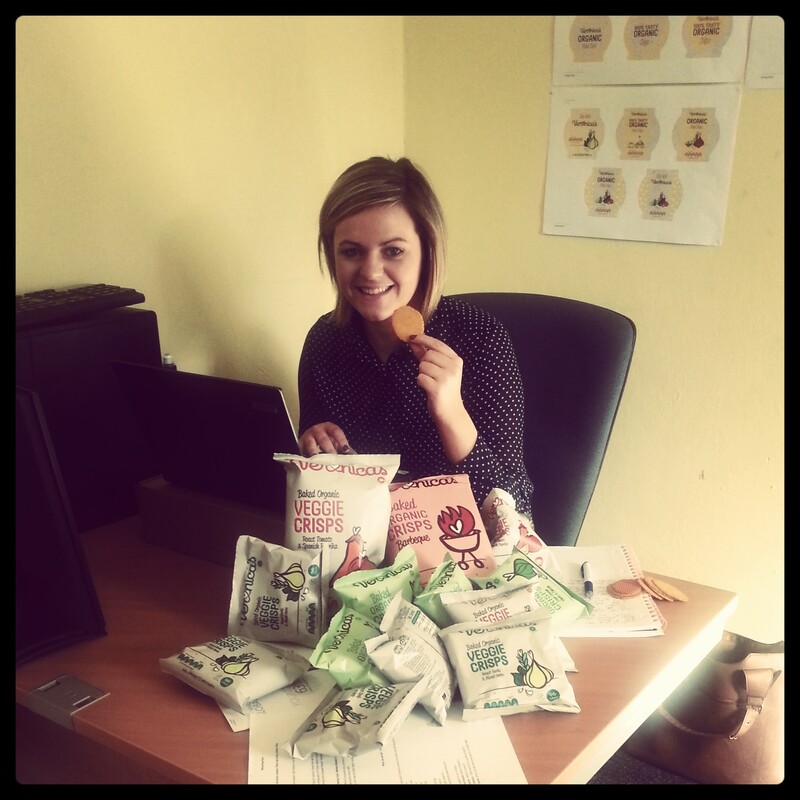 I am delighted to join Veronica’s Snacks team as Marketing Executive. When I found out there was a position for Veronica’s Snacks I knew this was for me. I am very excited to watch this business grow and I look forward to being part of this process. I want people to know that we can still have those tasty snacks we all can’t resist and not feel guilty. Some people expect low fat and gluten free snacks to be bland and tasteless but these crisps are so yummy, Munchy Happiness in a bag! It will be a struggle for me not to eat them all myself! :)!